If Laws Aren't The Solution, How Can Bullying Be Stopped? In our recent blog post on Feb 20, 2013, I discussed why stronger anti-bullying laws are not the magic solution to bullying. Having the laws is a good idea, but the laws only kick in after the damage has been done. So if we cannot rely exclusively on laws, lawmakers, or law enforcement officers to stop bullying, how can bullying be stopped? Preventing bullying and catching it early are the only real solutions, with less damage done to targets, bystanders, and bullies, and much better outcomes. 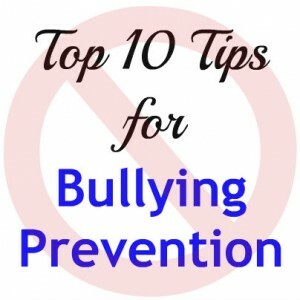 Luckily, there are many simple steps that everyone – parents, teachers, coaches, mental health professionals, students, and all concerned adults and kids – can take every day to create bully-free environments for our children. Lead By Example – Adults must speak and act with respect and kindness towards kids and other adults. Don’t call people names, don’t gossip, don’t bully. Catch yourself early in bad behavior, stop, apologize, and try again. Focus On Prevention – Start when kids are young and the problems are small. Pay attention and intervene early. Prevention requires persistence and consistency. Don’t Tolerate Bullying – Bullying has no place in our homes, schools, or workplaces. There should be a consequence (at the very least, an apology) every time bullying occurs, whether it was intentional or not. 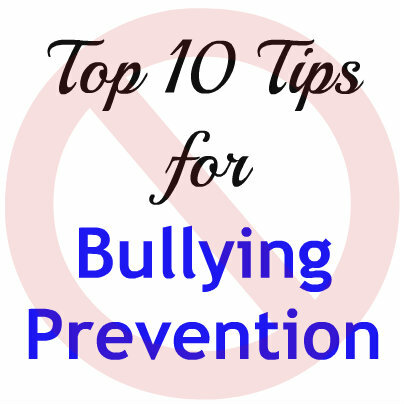 Whenever bullying occurs, it’s a cue for us to focus on prevention more. Build Respect, Empathy & Inclusion – Enroll your kids in activities that encourage them to get to know others, breaking down barriers and building respect. Sports teams, school clubs, and volunteer opportunities give kids a chance to learn more about their classmates as individuals. Girls’ Respect Groups is a great example. GRG is an after-school program for middle school girls, led by specially-trained high school girls. GRG leaders lend a kind-hearted hand to help younger girls over the rough spots of middle school (www.GirlsRespectGroups.com). Encourage children (and adults) to make space for people who don’t look or think like us (Back to Tip #1 – Lead By Example!). Empower Bystanders – It’s everybody’s responsibility to speak up and help create safe environments for our children, where safety and protection are assured and mistakes are stopped in the early stages. Train All Adults – Adopt consistent definitions of acceptable and unacceptable behavior and where to draw the line. Help parents, teachers and other adults in your child’s world see the problems – and the solutions – with the same eyes. Monitor & Supervise – Adults should be on “low-level alert”, monitoring the early warning signs and building blocks of rude behavior and bullying. Put yourself in places where you can observe kids’ words and behavior – on the playground, in the playroom, in the carpool. Intervene kindly at the earliest stage and don’t enable the bully by looking the other way. Build Strong Positive Leadership – Create positive leadership opportunities for adults and children. Guide children with strong personalities away from bullying and into other roles where they can use their personal power for good. Set Clear Standards For New Students & Groups –Schools replace part of their student body every year. Use this unique opportunity to teach new students the values of the school and set expectations for respectful behavior – even & especially during conflict. Develop Short & Long Term Strategies & Goals – You know your school, home, or community’s current strengths and weaknesses. Start from there. Write down 2-3 goals for behavior change and 2-3 ideas for how to create change in ourselves and others. It’s a great school council or student council project! Review progress monthly. Celebrate change and improvement! Creating permanent change requires a bit of everyday attention and effort. It’s worth it. You’ll be amazed at the difference you’ll see in 6 months! Bullying is not someone else’s problem – it’s yours, mine and ours. Happily, we now realize bullying can be easily stopped and we’re making progress as people step up to be part of this important work. By taking responsibility and doing the little things, every day, we are ending the bullying epidemic. Join us!! Make your home, school, workplace, and community bully-free zones! Make Every Day Bullying Prevention Day!